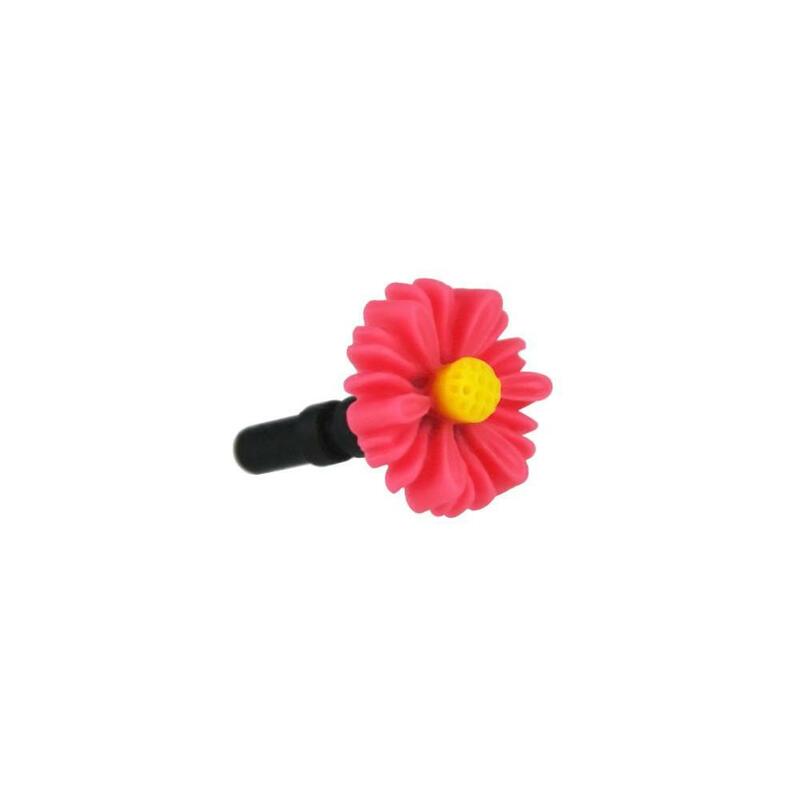 Cute daisy dust plug for your iPhone, Samsung Galaxy or basically any phone with a 3.5 mm audio port. The function of this little flower is to keep dust out of your iPhone audio port, but really it is just meant to look nice. Plugs into the 3.5 mm audio/headphone port of your smartphone and keeps it free of dust. 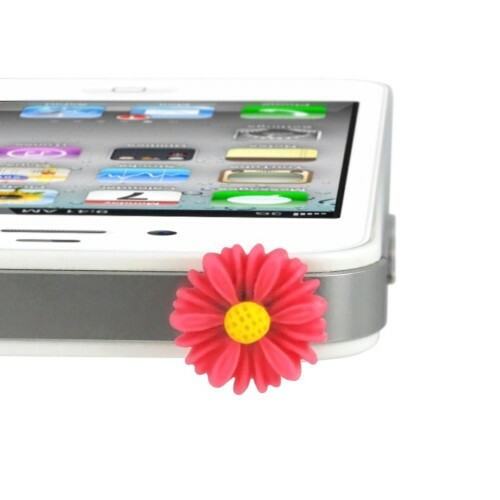 Compatible with iPhone 4/4s/5 and Galaxy smartphones. Mainly just looks cool, that is its real function. The first thing with this is that it does not bump around and such because it lacks a chain. While the chain can make a nice effect visually, it can also be a bit of a pain when all you want is something to fill the audio port and look half decent at the same time. The second thing is that the design is quite detailed. The petals are varied in their texture and pattern and the bud in the center is a nice yellow color against the pink flower petals. At the time of writing the item is on sale for about $4, but typically it is listed as costing about $14 which is a bit expensive. I suppose it might be justified if free shipping is offered. This really is the main negative of the item. The other issue with the flower is that it can chip and break if it is treated roughly. I suppose this is the case with basically any item though so its a bit of a stretch to use it as a real complaint. A nice dust plug for smart phones with no real negatives, save for it perhaps being a bit pricey.